Dept of Housing and Urban Development (HUD) - HUD’s mission is to create strong, sustainable, inclusive communities and quality affordable homes for all. This federal government agency is working to strengthen the housing market to bolster the economy and protect consumers; and more. Fannie Mae - a leading source of financing for mortgage lenders, providing access to affordable mortgage financing in all markets at all times. Their financing makes sustainable homeownership and workforce rental housing a reality for millions of Americans. 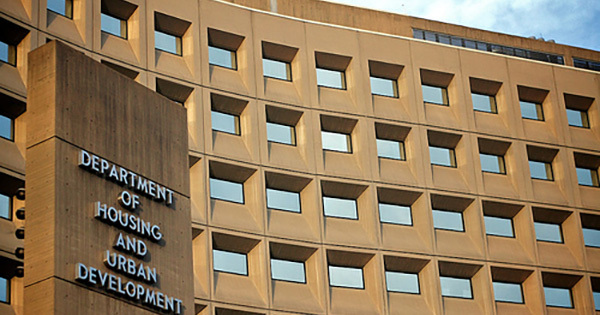 Federal Housing Finance Agency - This government agency is responsible for the regulation and oversight of the Federal Home Loan Banks' (FHLBank) housing and community investment programs including The Affordable Housing Program (AHP), The Community Investment Program (CIP), The Community Investment Cash Advance Program (CICA), and The Community Support Program (CSP). MakingHomeAffordable.gov - This resourceful web site is sponsored by the Dept of Treasury and the Dept of Housing and Urban Development, and is a key part of the Obama Administration's effort to help homeowners avoid foreclosure. National Low Income Housing Coalition (NLIHC) - This organization dedicated solely to achieving socially just public policy that assures people with the lowest incomes in the United States have affordable and decent homes. National Low Income Housing Institute (LIHI) - This organization that develops, owns and operates housing for the benefit of low-income, homeless and formerly homeless people in Washington State; advocates for just housing policies at the local and national levels; and administers a range of supportive service programs to assist those we serve in maintaining stable housing and increasing their self-sufficiency. USAC Lifeline Program - This program, administered by the Universal Service Administrative Company (USAC), is designed to ensure that quality telecommunications services are available to low-income customers at just, reasonable, and affordable rates. USA.gov - an interagency product administered by USAGov (formerly the Federal Citizen Information Center), that helps homeless families find rental assistance or public housing.